Why is it so difficult to find out who your real customers are? Why are our customer facing staff not sure who we should sell to or what they should sell? The reason is often a lack of detailed product knowledge, low questioning skills and most importantly low listening skills. 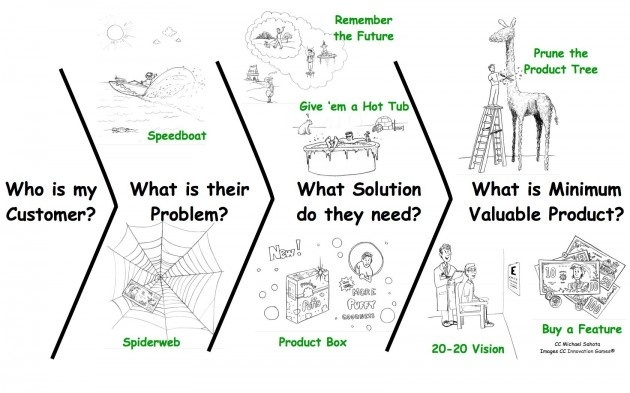 In dealing with potential customers (they have not purchased anything yet) we need to understand why they are looking for a new product or service solution by following 3 simple planning steps as shown in the graphic above. Step 1: Plan ‘listening time’ with your customer. Listen to your customers story and ask lots of questions. Often customers are not sure of what solution they require, they only know they have a problem or need that must be met. Guide your customers through the discovery process by asking open questions, listening to their answers before asking the next question. Only once you have uncovered the real need or hassle should you start to think about potential solutions and what products or services would be best suited. Step 2: Plan a solution linking your products or services to that solution. Often customer facing staff ‘drown’ their customer with a selection of products or services that could meet their needs. This leaves the customer selecting a ‘commodity’ product or service that fits in their budget rather than focusing on the best value solution. By focusing on the desired result or outcome attention is given to ‘what is best’ and customer value. Step 3: Identify, plan and present the ‘best value’ offer. Once you understand your customers needs and drivers you can then plan and present a solution. 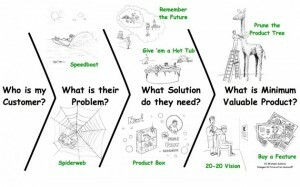 Focus on building a ‘basket’ of products or services best suited to meet your customers needs and make sure that it delivers a value that exceeds their investment. Remember ‘value’ and ‘investment’ are not only measured in money but include time, effort and hassle. By being truly customer centric you will exceed your customers expectations and create a loyal customer. ← Do you see INNOVATION in your dots?